Did you know that an outsourcing partner can have a deep impact on your company’s brand and reputation?Whether you are a startup or either a well-established Company, choosing the right outsourcing company becomes a very important part of your business model.The benefits of Recruitment outsourcing will only be reaped when you are able to secure the best outsourcing partner for your company. Choosing an outsourcing service provider is vital to the success of your business.Outsourcing might seem as your finest bet for your business concerns; however, finding the right Outsourcing Company to achieve the desired outcomes isn’t a walk in the clouds! Here are some tips that will assist you while choosing the right Company. These innovative ways can help you ensure that you find the best and reliable partner for your business. • Proven Record and Experience- You also have to find out the proven record and experience of the HR Outsourcing Company. Find out more about the industry they have catered, experience of your outsource partner, projects they have worked onand which technology they have expertise in.This can help you analyze if the specific outsourcing service provider is best suited for your business.Lastly, know about its proven track records to check its credibility.While choosing an outsourcing provider, make sure that the partner has significant experience working with Fortune clients and is comfortable working with International audiences. • Technical Expertise- It is crucial to ensure that the people handling your business’ processes have the necessary skills, discipline, knowledge and even the proper business acumen. This is the first & foremost thing that every business must be looking for while hiring any Outsourcing partner. The technically proficient team can properly understand your business goals and provide the best solution that best suits your business needs. • Considerate Business Objectives- Finding a Recruitment outsourcing service provider who understands your business objectives is integral to the smooth execution and accomplishment of your project. You must have a business strategy that matches your business needs with the needs of your provider in an accurate manner. Once your strategies and objectives are understood by your partner, it becomes easier to communicate standards, changes, targets and updates on performance. • Infrastructure, Credential and technologies- An outsourcing must have the updated technologies, infrastructure and credential in place to meet your business’ demands. This generally means having a reliable infrastructure in place, with best-in-class techniques, tools and network structures, as well as other technologies specific to your industry.Once you are aware of the Credential and technologies, it will be possible to get a clearer idea of how accurately your project will be handled, and whether it is in sync with your quality expectations. • Flexibility in approach- Evaluate if the outsourcing –partner,you have chosen is rigid or flexible in their approach. It is crucial to find out how flexible vendor is when it comes to adjusting urgent requirements, supporting in your time zone, open for discussion, etc. Identifying your outsourcing partner’s flexibility helps you determine the value and performance of your projects. • Cost Factor- One of the biggest considerations is the cost factor! Other things being equal such as skills, quality, and turnaround time-the bottom-line deciding factor while availing outsourcing services. 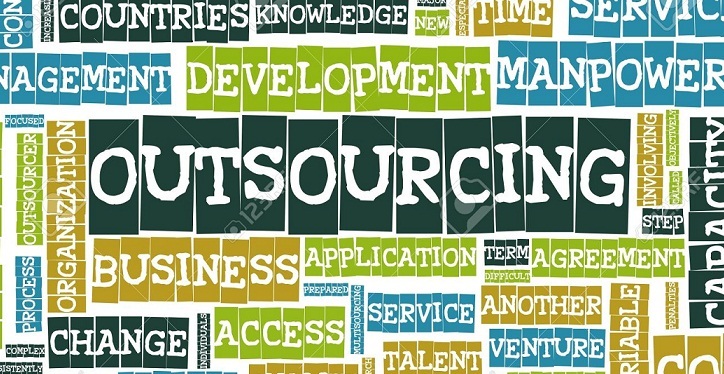 Outsource to reliable and competent HR Outsourcing Company can cut down on development costs. These things need to be clear from the very beginning in order to avoid disputes or conflicts. • Delivery Times- Make sure your Outsourcing Company provides realistic goal sand deadlines. Outsourcing will be cost-effective in the long run— a factor that is beneficial for startups, enterprises, and small businesses. As such, it would be logical to find ways that will offer the best value for your investments. Outsource to competent and reliable Company to cut down on costs. Your outsourcing partner can break or make your company, so it is important to evaluate carefully its competence before becoming completely involved with them.Considering these factors before choosing a right Outsourcing partner for your start-up can ensure increased profits, stronger relationships and higher customer satisfaction. We hope the above pointers will help you choose the right outsourcing partner! !